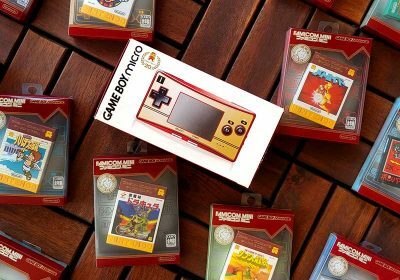 The original Game Boy brought portable gaming to the masses and now holds a nostalgic place in the hearts of collectors right there with the NES. And while the rarest Gameboy games don’t quite touch the those in the NES library in terms of value, there are some surprising treasures to be found. It should also be noted that there is a separate guide for Game Boy Color listings. That GBC Color list does need an update in the future, however. Note: I’m starting to publish some archived version of old price guides. Here you can find the 2012 Edition of this Guide. 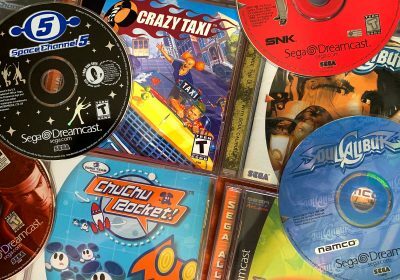 If there’s one developer that seems to consistently show up on our Rare and Valuable lists, it is Atlus. They always seem to make cult classics and release them in low numbers. 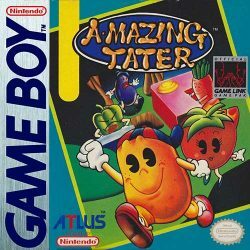 While Amazing Tater might not have what it takes to reach cult classic status, it is one of the hardest to find Game Boy games of all time. The original game in the series, Puzzle Boy (known as Kwirk in North America) is a puzzle adventure in the iconic style of Sokoban when you push around boxes to solve puzzles and progress. Amazing Tater is the formal sequel to Kwirk (and known as Puzzle Boy II in Japan) but is the third game in the series (the second is Spud’s Adventure, mentioned below). While it’s a fine enough game, it wasn’t revolutionary by any means and the vegetable-based branding didn’t really do any favors when it came to moving cartridges off store shelves. It also didn’t get quite as much exposure as it’s prequel Kwirk in the States. Amazing Tater went from relative obscurity (with bare carts being able to be score for $15 or less) until 2012 when prices jumped dramatically ($130 for a cart to $800 complete in 2012) and gradually increasing from there. Prices for complete copies seemed to peak in early 2016 (like this one in November,2016 for $1700) and have started to cool a bit since then. As mentioned below, Spud’s Adventure was the middle installment of the low-key trilogy of “Puzzle Boy” Game Boy games. 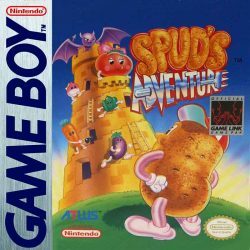 In North America, Spud’s Adventure was released just 8 months before Amazing Tater. Spud’s Adventure does differ a bit from both Kwirk and Amazing Tater in that is actually more of an overhead Action RPG while still having a healthy amount of puzzle solving involved. Of course, this title is also developed and published by Atlus, has the vegetable kingdom vibe going strong, and saw very low production numbers. Much like Amazing Tater, this cart was lost in obscurity for a while before getting some collector exposure in late 2011/early 2012. Previously a $15 cartridge, it approached the $100 level in 2012 (and $700 complete). Since then it’s been a steady climb up. Even though one might think that the Mega Man Gameboy games are just monochrome versions of the NES games, the portable versions are actually quite different than their console counterparts. So if you’re wanting to fully explore the massive Mega Man series, this is a required play. The Game Boy series was developed by Minakuchi Engineering for Capcom and this fifth installment actually took more time in development than the four prior games. 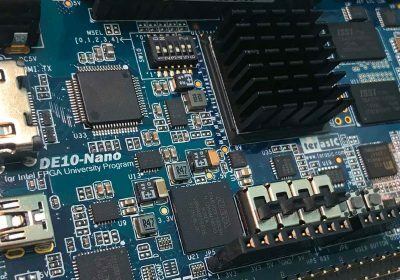 Typically, it is the other way around, but this showed some devotion to making solid product that still feels fresh instead of quickly cashing in. As you can see from our Best Mega Man game poll, this seems to have paid off as Mega Man V is the most popular of the portable installments and it’s also one of the hardest to find. Back in 2009, Mega Man wasn’t cheap, but relatively affordable: $35 for a cart and $100 for a complete copy. 2012 saw a stark increase to $55 for a cart, $500 for complete. We’ve since seen prices more than double in the last seven years. 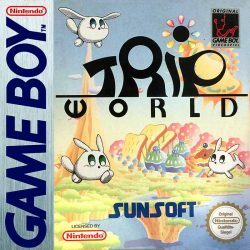 This Game Boy release uses the same title and artwork as the Super Nintendo game developed by Human Entertainment and published by Ubisoft. Ubisoft then localized the game Nakajima Satoru F-1 Hero GB ’92: The Graded Driver from Natsu System and rebranded it. Since Ubisoft had relatively low investment in the game, they took a wait-and-see approach by releasing a very limited amount of copies of this North American production. There were more copies released in PAL regions which is much more abundant and affordable. The strange thing is that the PAL version has a label that is what you might expect, but the North American release displayed an odd design choice of having half of the artwork area to be solid black in order to display the un-cropped racing photograph that was used on the SNES game. Most collectors never really caught onto this rare variation until the last year or so. This particular Game Boy gem is a spinoff of the Castlevania series and a remake/sequel of Japanese-exclusive Famicom title, Famicom game Akumajō Special: Boku Dracula-kun (“Demon Castle Special: Kid Dracula”). 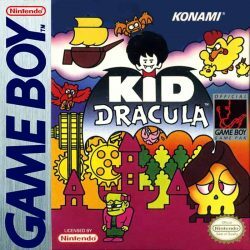 This Konami platformer is more a comical production with super-deformed character designs, but some of Kid Dracula’s characters have later appeared in Castlevania installments. While there are weapons to be utilized in Kid Dracula, the game focuses on pure platforming. And in addition to parodying Konami’s own Castlevania series, it also has comical nods to other platforming franchises along the way. With it going under the mainstream radar, it made for an easy choice of a Game Boy Hidden Gem. With all of these interesting factors combining with a relatively scarce cartridge, it should be a surprise that Kid Dracula has become more and more of a collector’s piece over the years. The NES infamously had some Bible-related unlicenced games that made for interesting collectors pieces. Nintendo’s Game Boy also had a similar cartridge published by The Wisdom Tree in 1996. 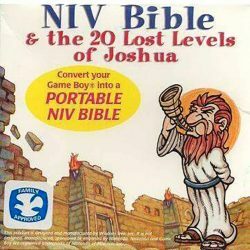 This cartridge let Game Boy owners carry around an NIV translation of the Bible (complete with searching capabilities) in addition to twenty extra levels of the game “Joshua and the Battle of Jericho” that were not included in the original Game Boy release. Since our 2012 edition of this guide, this cartridge has taken off quite a bit in value. A bare copy could be found for around $20 while a complete copy was only maxing out at $100. Now, you’re looking at 5x to 8x that price tag in less than seven years. 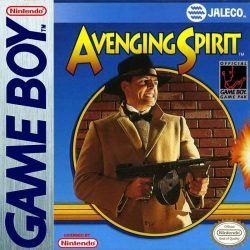 While we often joke about the differences in packaging artwork between North America and other regions, Avenging Spirit is one of the most stark differences. When I first saw box for this North American release, I’m definitely picturing a classic gangster type game both with the chose image and the typography. However, when you see either the PAL box or the Japan release (known as “Phantasm” over there), you’ll see a cute ghost welcoming you and a fun feeling type choice for the title. The difference is enough to make you wonder if it’s actually the same game. However, once you look at the screenshots, you can kinda see that game actually lies somewhere in the middle. This action plaformer (I’ve also heard it called a “possess-em-up”) was actually one of our Gameboy Hidden Gem picks a decade ago and has the interesting concept of playing as a ghost that can posses a bunch of different enemies (each with different characteristics) to avenge your death and rescue your girlfriend. Anyway, even though it was based on an arcade game, the game didn’t do well in retail (the confusing branding and imagery probably didn’t help). 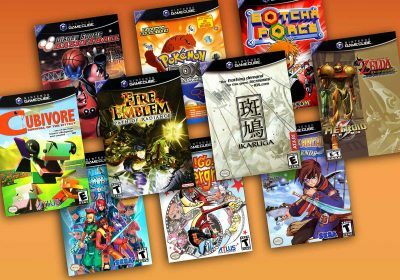 Before our Hidden Gems mention in 2009, you could find a cartridge for $10 or less. Afterward, about $20. However, but 2014, it had doubled again and then started a steady climb. Boxed copies are a whole different matter. It’s REALLY hard to find boxed copies show up. Around 2014/2015 people really started looking for this game hard. In 2015, a complete copy with poster and registration card went for over $600. Collectors seems worried that they wouldn’t be able to find this down the line. However, with appraisals rising, more people were bringing them to the surface and parting with them. Since then, things have calmed down a bit. More recently, this past October another complete copy went for $390 and there’s currently some open auctions for complete copies in the $400 range and a Sealed copy listed for $585. Even though the portable Mega Man games were handled by a third-party developer for Capcom, they evolved into solid complementary experiences that consistently improved in later installments. 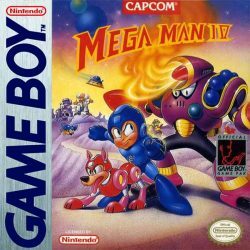 While it may not be quite as popular as the Mega Man V game that preceded it, it raised the bar for mobile platforming when it came out and pushed the Game Boy hardware quite a bit for a 1993 title. The reputation for the later Mega Man Game Boy games has continued to grow over the years. While Mega Man IV was never a bargain purchase, it was quite affordable: a decade ago, your could find a loose cart in the $20 range. But complete copies have continued to drastically appreciate in value (back in 2012, you could buy a pristine copy for $200). 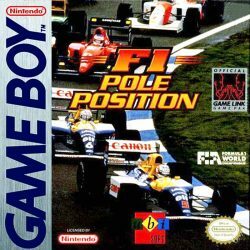 Much like F1 Pole Position, mentioned above, this particular Ubisoft release saw decent distribution in PAL territories, but was ultra-limited in North America. 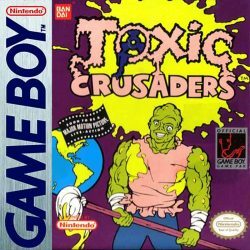 90s kids may remember the Toxic Crusaders animated show that was environmentally-themed, but based on a strongly R-Rated film from the 80s. The show didn’t last long, but there was a decent amount of merchandising produced including a game for the NES, Sega Genesis, and the Game Boy. While none of the game carts are especially common, the Game Boy version is the hardest to find by far. Despite its rarity, you could commonly find bare cartridges in the $20 range as recently as 2016 (and about $10 just a few years before that). Complete copies have especially hard to find — only showing up every so often, so it been in the multi-hundred price range for a while. 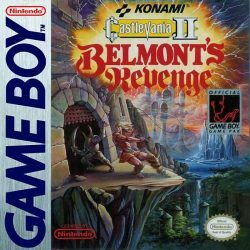 The second of three Castlevania games on the original Game Boy (and considered a sequel to the first GB title, Castlevania: The Adventure), Belmont’s revenge is also considered the best of the DMG’s Castlevania releases. 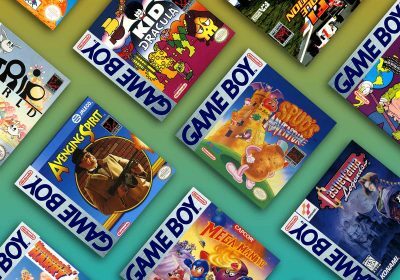 Bare cartridges aren’t especially pricey, but with it being a popular title, the complete copies have appreciate quite a bit. Castlevania II: Belmont’s Revenge used to be on the “Additional Games of Value” in our 2012 edition, coming in at $10 for a cart and $150+ for a complete copy. 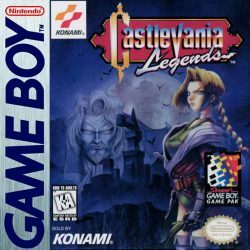 It previously was in much less demand than its rarer sibling, Castlevania Legends (see below) but its boxed copies come at a premium now for collectors. Despite being one of the lowest ranking game on our Best Castlevania Games poll, Castlevania Legends is one of the most collectable installments on a portable platform — at least in cartridge-only format (see above for the highly collectable boxed copies of Belmont’s Revenge). It’s quite different than most of the games in the series, but it still has a group of devoted fans and curious devotees of the franchise. es. However, it was one of the top platforms and imports on our Game Boy Hidden Gems guide years ago. The game was re-released on the 3DS Virtual Console in Japan and Europe (still nothing for North America), but it hasn’t seemed to slow down the enthusiasm for the original Game Boy version. In fact, back in 2012 you could find loose carts for $170 (so not a huge increase since then) and sealed copies for $1300 (you’ll pay more than that for an opened complete copy now). 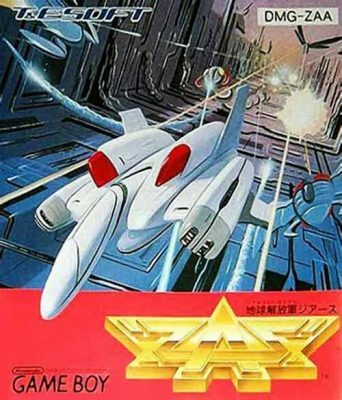 While you might not think of the original Game Boy when you think of beautiful and engaging shoot-em-ups, but Chikyu Kaiho Gun ZAS maximizes the 8-bit monochrome aesthetics and pushes the limits of the DMG’s hardware to produce a fascinating shooting experience that was exclusive to Japan. As Game Boy enthusiasts and collectors alike have come to appreciate the fine craftsmanship of this Hidden Gem of both the Gameboy and the Shmup Genre as a whole, prices has continued to rise and has been one of the most in-demand imports for the portable system. The Hammerin Harry franchise (known as Daiku no Gen-san / translated to “Gen the Carpenter” in Japan) from Irem (of R-Type fame) originated in the arcade and then the Famicom before getting a version for the Game Boy. The Game Boy version was the first game in the series in which Irem tested it on a Western market, but only sold in Austria and Switzerland for some reason (and North America didn’t see an installment until Hammerin’ Hero for the PSP in 2009). 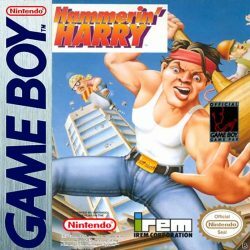 Even though most North American gamers have never played the game, Hammerin’ Harry was one of the most interesting action platforms or beatemups on the Game Boy and easily made it onto our Game Boy Hidden Gems guide many years ago. 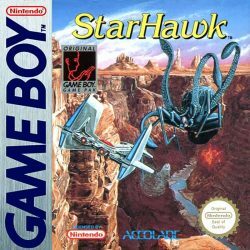 While ZAS may be one of the best examples of shoot-em-up action on the Gameboy, Star Hawk may be one of the most lackluster. With a large ship sprite, underwhelming power-ups, and boring gameplay, it may be best that this PAL exclusive got lost in the shuffle. This adaptation of arcade platformer saw a Gameboy release in PAL territories. 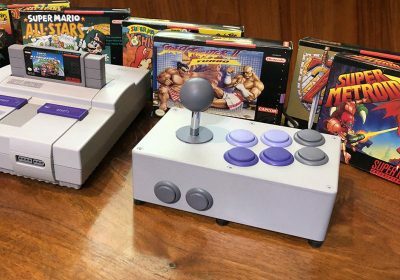 Bare cartridges aren’t too hard to come by, but those boxed copies can be a chore to find. With it being a PAL exclusive, it is one of those games that even North American collectors are trying to add to their collections. 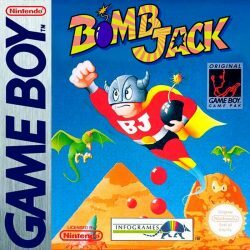 Back in our 2012 edition, Bomb Jack was going for about $12 loose and only $30 for a boxed copy. Recently purchased STOP THAT ROACH right here on Racketboy from a fellow member. 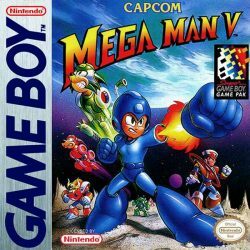 It’s a shame that Capcom didn’t include their GB and GBC games with all their various Mega Man compilations this gen. At the least they are fun curiosities; in the case of Mega Man V, a lot of gamers are missing out on one of the better classic Mega Man games. At these prices, I know I’m not selling mine any time soon! I know, right?! When I was working on this revamp, the first thing I did was verify if those newer complications included them, but no luck! They lost the code for the GB games that’s why they’ve never showed up on any compilations. 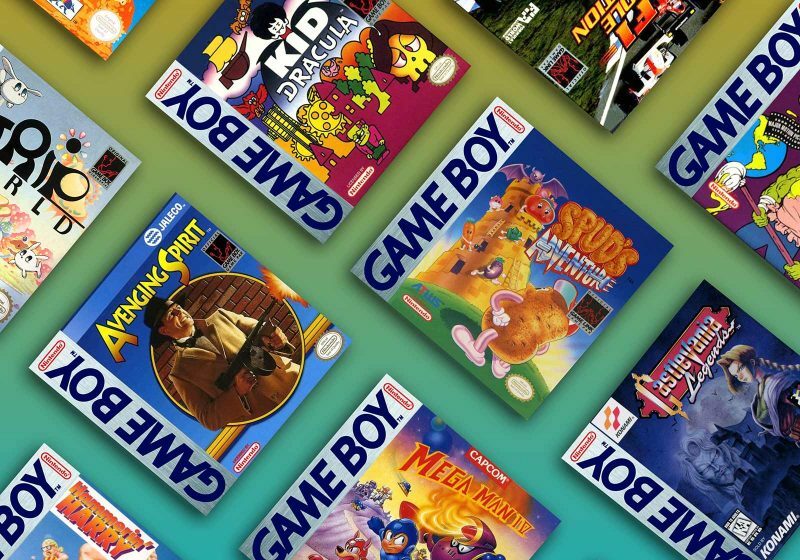 Along time ago there was supposed to be a GBA I believe, compilation of the GB games and they were supposed to be colorized. I was trimming down my collection so I got rid of the original GB games and and planned to get the compilation. The game never came out and after searching to see why it never showed up, the game codes being lost was the answer that showed up in one of the gaming magazines at the time. yeah there was supposed to be a gba version of the mega man gameboy games, now I know why they didn’t come out. I wonder if capcom would ever consider remaking them from the ground up for a compilation, considering they are on the eshop tho. I’ll toss a vote in for the North American version of Hit the Ice as well. 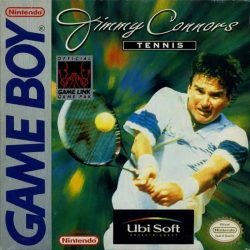 A CIB copy comes up, well, never… so it is very hard to price. I’ve tracked the game on ebay for the last 5-6 years and have actually never seen the box at all. I know some folks on NintendoAge have offered bounties of upwards to $500, but that was at least a couple years ago. In my opinion it would be really the rarest to find CIB.